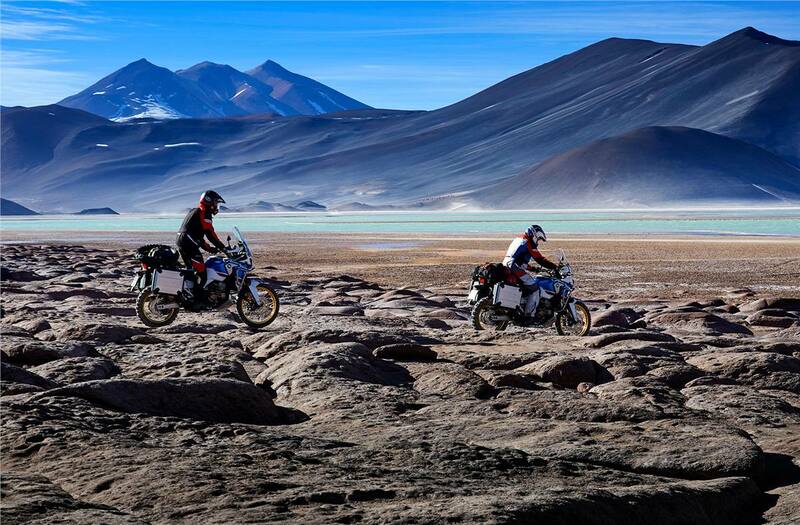 Power your adventure: Featuring the same exhilarating 998 cc parallel-twin engine and fearless Dakar Racing heritage of the iconic Africa Twin, the upgraded ‘Adventure Sports’ version is sure to take performance to unimaginable new heights. Distinctive sound and feel: A 270-degree phased crankshaft gives the engine a distinctive sound and feel – almost like a V-twin – while helping to produce strong and linear power and instant response anywhere in the rev range. There’s a deep growl as the RPM rises that will be music to any motorhead’s ears thanks to the revised intake and exhaust. 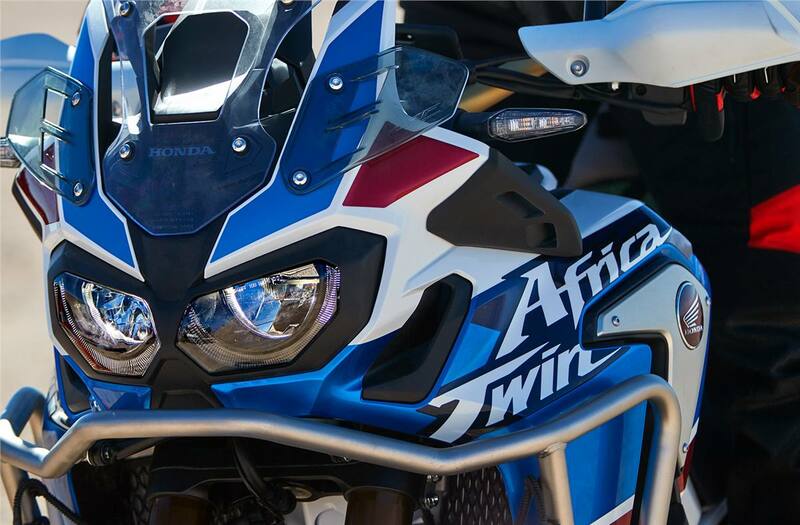 Innovative functionality: The Africa Twin Adventure Sports is also available with an advanced Honda Dual Clutch Transmission (DCT). It features the standard manual mode – allowing the rider to shift gears with triggers on the left handlebar – and two automatic modes. D mode offers the best balance of fuel economy and cruising comfort, while S mode cranks up the performance. S mode even allows you to choose from three different shift patterns to match your riding style or the conditions. Exceptional versatility: The DCT is specially engineered to handle off-road adventures, thanks in part to the G switch positioned on the right side of the instrument panel. Pushing the G switch in any riding mode provides an aggressive shift pattern that’s ideal for breaking the rear wheel loose in a sweeping dirt or gravel corner, or lofting the front wheel over an obstacle. Breakthrough technology: Another benefit of the DCT is incline detection. Algorithms based on vehicle speed, engine speed, throttle input, and more, determine if the bike is ascending or descending a slope, and the system’s ECU selects the appropriate gear for climbing or engine braking. 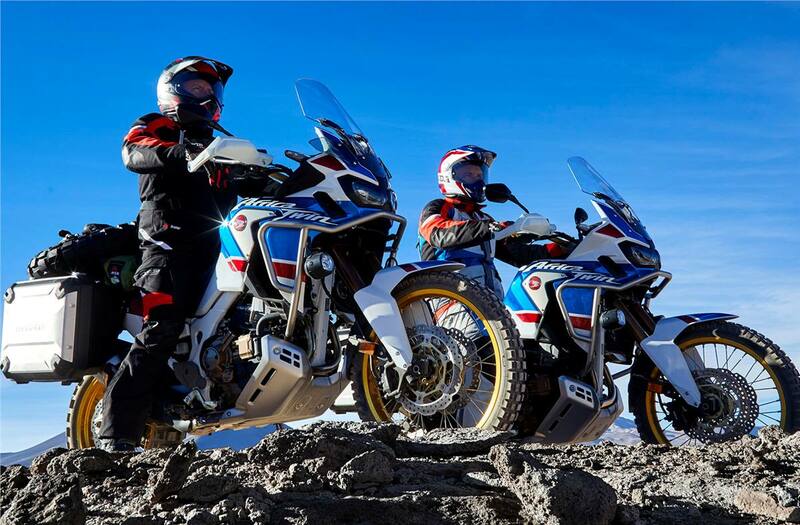 Torque control: The Africa Twin Adventure Sports even allows you to select from various levels of traction control. The Honda Selectable Torque Control (HSTC) system adjusts the allowable rear-wheel slip through 7 levels (or off). 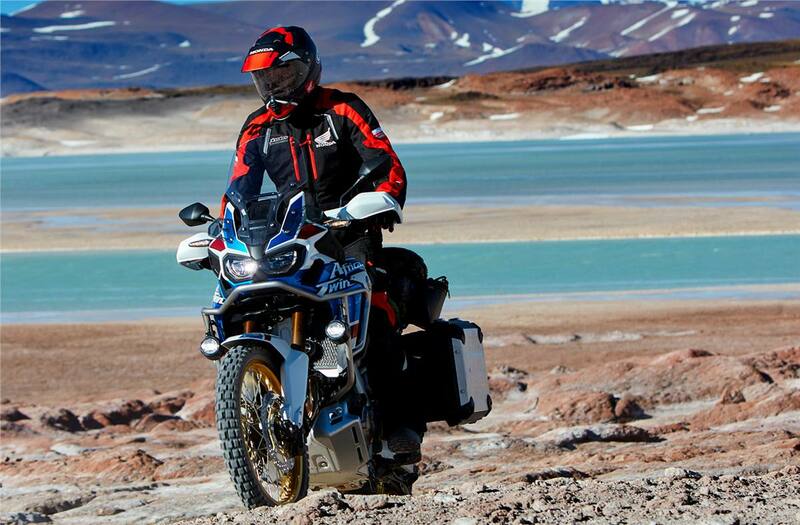 Dual-purpose design: The chassis is engineered to handle the most rugged off-road adventures, while also providing the comfort of a touring motorcycle and the everyday competence of a great all-rounder or day-to-day commuter. Strength and agility: The semi-double-cradle steel frame uses oval-shaped tubing for extra strength without extra weight. 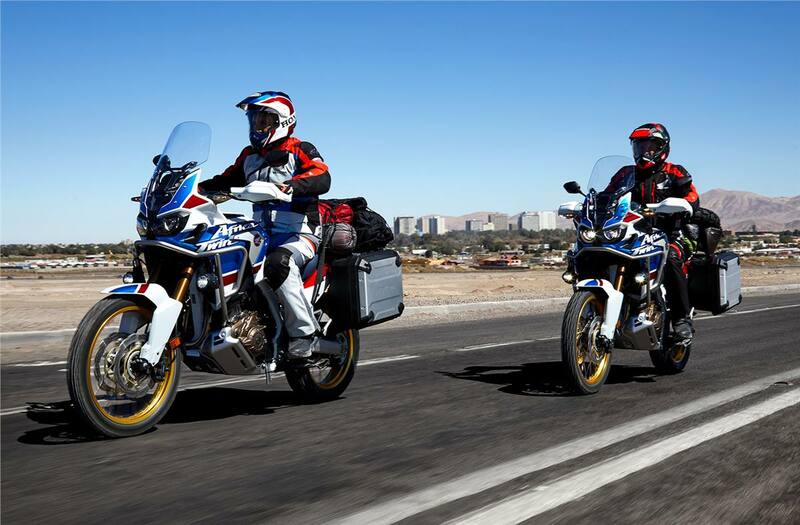 The Africa Twin Adventure Sports model also features a larger skid plate with extended fairings and protective cowl bar. Balanced handling: Careful attention to mass centralization – with heavy items like the battery packaged at the rear of the cylinder head – contributes to agile handling. 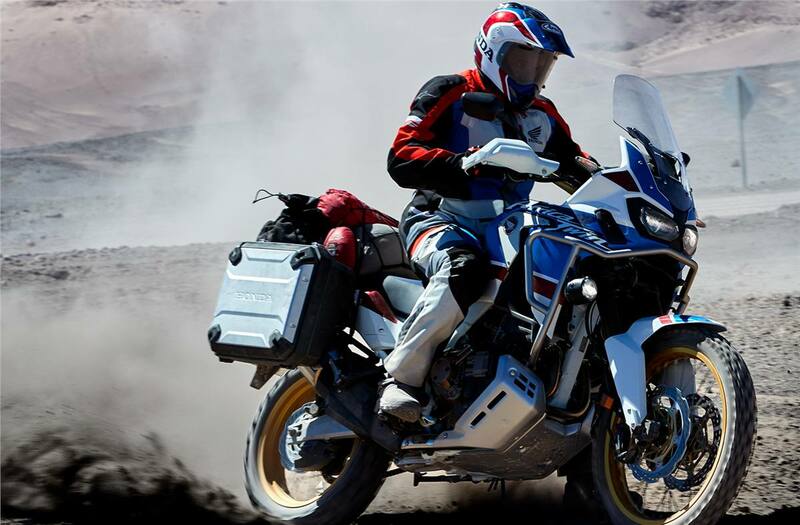 Superior suspension: The Africa Twin Adventure Sports features increased ground clearance and longer suspension travel over the regular model, enabling the Adventure Sports version to tackle almost any terrain. The long-travel inverted Showa fork offers full spring preload, compression damping and rebound damping adjustment, and was designed specifically for a leading-axle wheel and radial-caliper mounting. Engineered functionality: The Pro-link rear suspension design positions the shock lower at the front of the aluminum swingarm, lowering C of G even further and allowing designers to keep the seat/tank area above the shock as slim as possible. 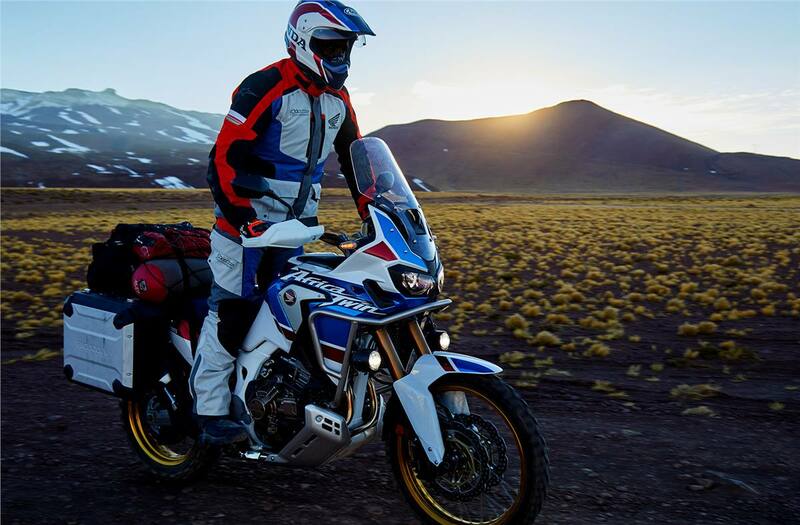 Adventure ready: Like the CRF450R Rally, the Africa Twin Adventure Sports uses 21-inch front and 18-inch rear spoked wheels, wearing 90/90-21 and 150/70-18 tires. Proven Performance: Standard ABS provides confident braking control on all types of surfaces. The Adaptive Rear ABS Cancelling allows you to disable the rear-wheel ABS – a benefit in certain types of off-road riding. The system reverts to normal operation when the engine is restarted. 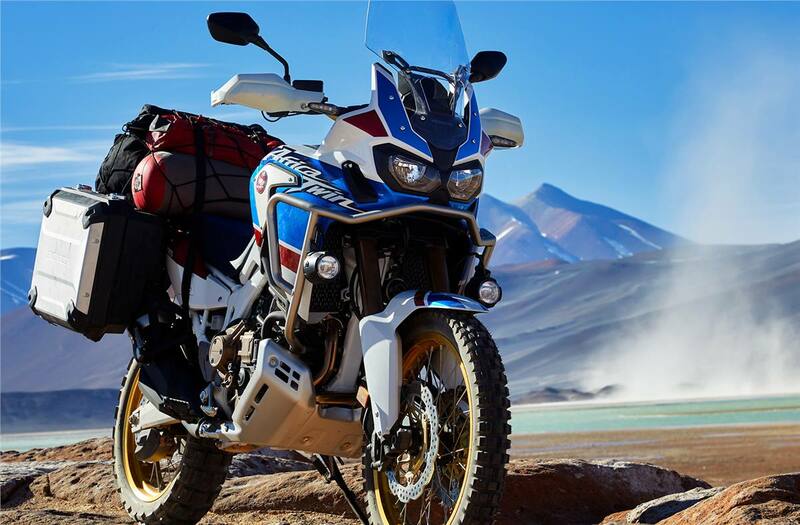 Durable construction: Following its design theme of “true adventure”, the Africa Twin Adventure Sports is styled with extended fairings to create a tough off-road package. The overall design offers both weather protection for the rider and a slim, agile feel. 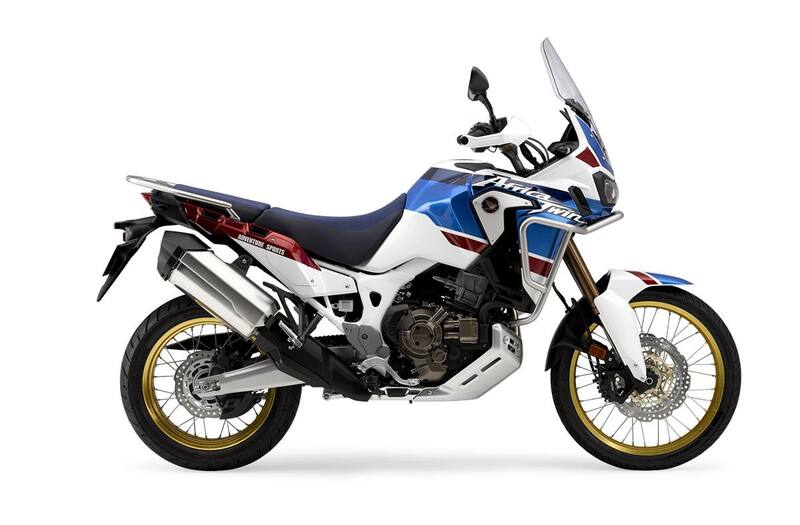 Distinct styling: The new Adventure Sports version of the Africa Twin is also clad in the same instantly recognizable Honda tricolour paint and graphics as the original Africa Twin — with distinct dual LED headlights for an imposing presence while providing excellent nighttime illumination. Ergonomic riding position: The Adventure Sports has a higher riding position for off-road enthusiasts with an ergonomic wide-to-narrow designed seat with wider footpegs, designed for extra comfort and easy transition when riding off-road. The seat can also be raised or lowered through a range of 20 mm. 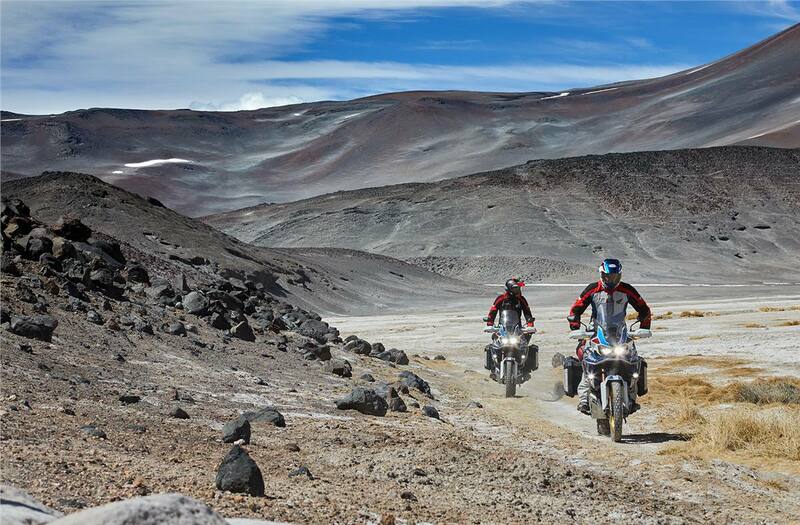 Long-distance range: The new Adventure Sports model has a larger fuel tank versus the regular model for more long-distance travel, which coupled with the engine’s excellent fuel efficiency can provide increased riding range. Enhanced comfort and stability: Heated grips with an off-road-style tapered aluminum handlebar are both strong and lightweight with a rubber mounted design for reduced vibration. 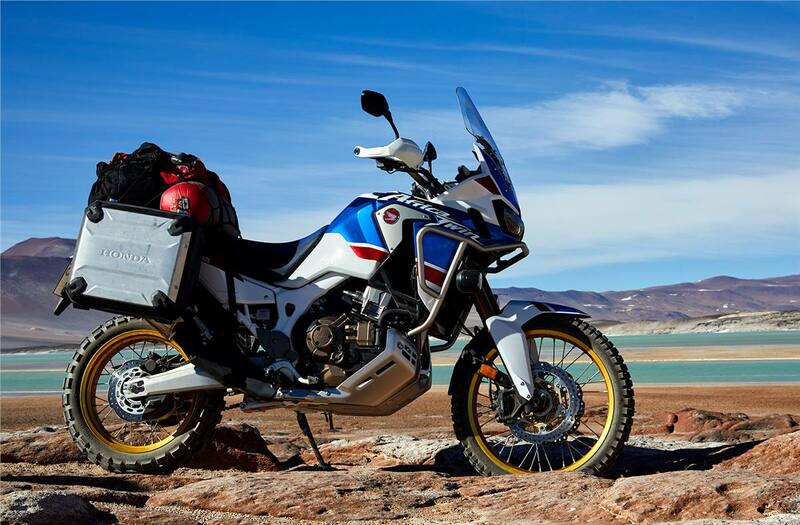 True adventure design: An oversized 'Adventure Sports' aluminum skid plate and new protective cowl bar helps protect against damage from stones, rocks and other obstacles and a rear rack offers additional storage capability.